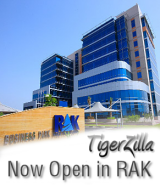 We are a wholly owned division of the TigerZilla Group with offices in Ras Al Khaimah (UAE) and Hertfordshire (UK). We have recently opened our new Warehouse in Ras Al Khaimah which is now fully operational. Established in 2009 we already have hundreds of satisfied clients from across the globe by providing a professional yet friendly service with quality products at an unbeatable price! What is the time period for delivery and installation? We will check availability and agree with you an installation date that suits you. Installation from start to finish normally takes approximately 7-10 days depending on the size and complexity of your property. Can I add/remove/change any items in your Furniture Pack? Yes, you can have a customised package to suit your requirements - please contact us with what you require and we will email you back with a quotation. I will be renting out my apartment – will the furniture withstand regular use? The furniture pack inventories have been specifically compiled with the tenant in mind -designed to withstand the hardest wearing of tenants. Is there are any guarantee on the furniture packs? All furniture packs come with a 12 month guarantee for your peace of mind (excludes wear and tear). What is the warranty on electrical goods? All electrical goods come with a minimum 12 month warranty. All warranties and guarantees of electrical and mechanical goods will be passed onto the buyer. Will my furniture pack purchase look as shown in the images? The furniture packs will be in a modern contemporary style, pictures shown are previously installed furniture packs to give you an indication of the styles we have used. 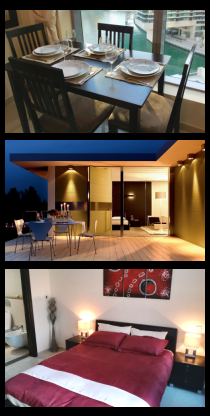 We will choose furniture that matches your property -all in modern contemporary fashion of course. Do I have to be at my property to receive the furniture? No, in fact most of our clients live abroad and we usually handle the whole process from start to finish without the client being at the property. However, you will need to allow us access to your property, either by supplying the keys beforehand or via a nominated agent/person. I have a property in the UK, can you furnish here too? Yes, our furniture packs are now available anywhere in the UK as well as the UAE. We will soon be providing our furniture packs in Oman (coming soon). You would need to pay the full cost of your package at least 2 weeks before the agreed installation start date. Can you send me your latest brochure and a quotation?